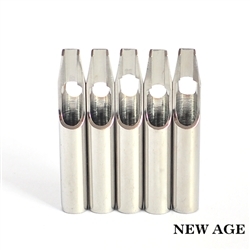 Our steel tips are made of high grade stainless steel. Precision tip size, and great craft man works. The tip has 2 holes in it for easier cleaning.